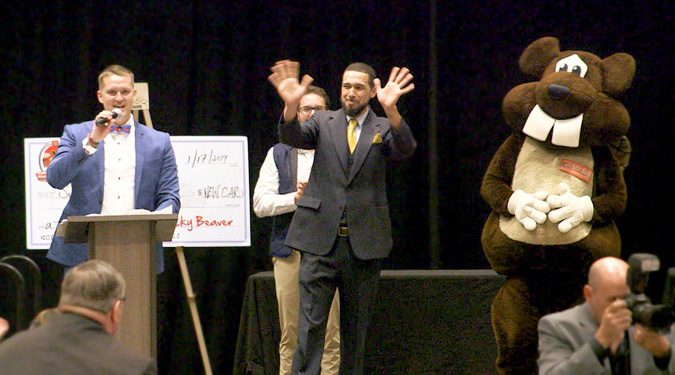 Staci Boyer, Freedom Crossing Academy’s Secretary / Bookkeeper, was named the 2019 School Related Employee of the Year at a banquet held at the World Golf Hall of Fame on March 14th. Watch a video of the reception. St. Johns County School District’s annual Elementary STEM Fair was held on March 2nd at Palencia Elementary School. The Elementary STEM Fair is a student centered educational experience with the primary goal of promoting student use of science, technology, engineering, and mathematics to solve real world problems. 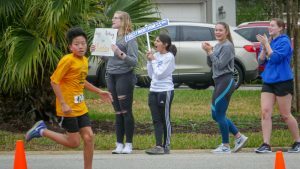 The St. Johns County School District (SJCSD) will begin early registration for the 2019-2020 school year March 1. This registration is only for children new to the school district, including those entering kindergarten. Early registration can be completed online at or by visiting the student’s assigned school website. To find the assigned school, enter your street address on the Attendance Zone Locator. To be eligible for public kindergarten in the SJCSD, children must be 5 years old on or before September 1 and must reside in St. Johns County. Proof of residence per the Residency and Guardianship Policy. For additional information on registration, contact the Student Services Department at 547-7598 or the assigned school. 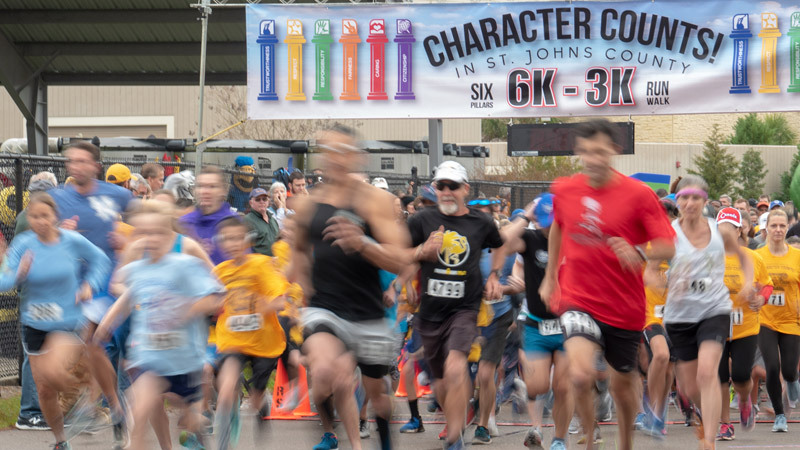 Over 600 runners and walkers of all ages participated in the 2019 Annual CHARACTER COUNTS! 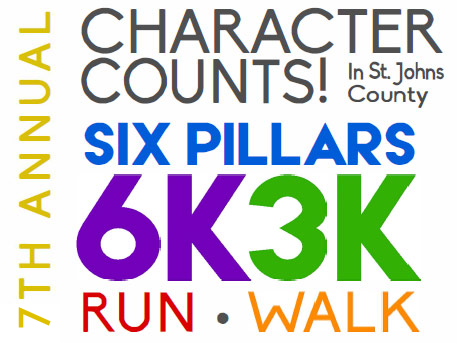 6 Pillars 6K/3K Run/Walk on Saturday, February 2nd. Race proceeds support CHARACTER COUNTS! initiatives throughout the St. Johns County School District. View the results of the race on RaceSmith.com and view exclusive race photos provided by 904 Fitness. The CHARACTER COUNTS! 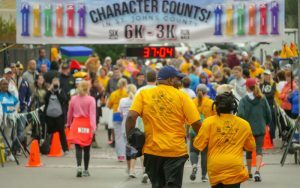 Steering Committee is calling all walkers, runners and fitness enthusiasts to participate in the CHARACTER COUNTS! 6 Pillars 6K/3K Run/Walk on Saturday, February 2, 2019 at 9 a.m. 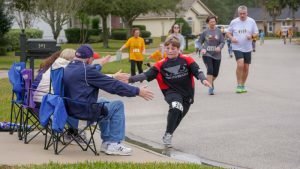 The run/walk will begin and end at Palencia Elementary School located at 355 Palencia Village Drive, St. Augustine. Registration forms and more information are available online. 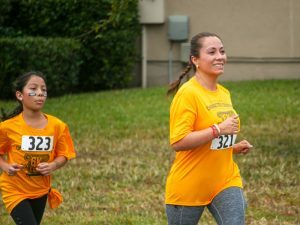 Race proceeds will support CHARACTER COUNTS! initiatives throughout the St. Johns County School District (SJCSD). The run/walk is open to all ages, and the top three winners will be awarded in each of the age categories as well as the overall male and female finishers. 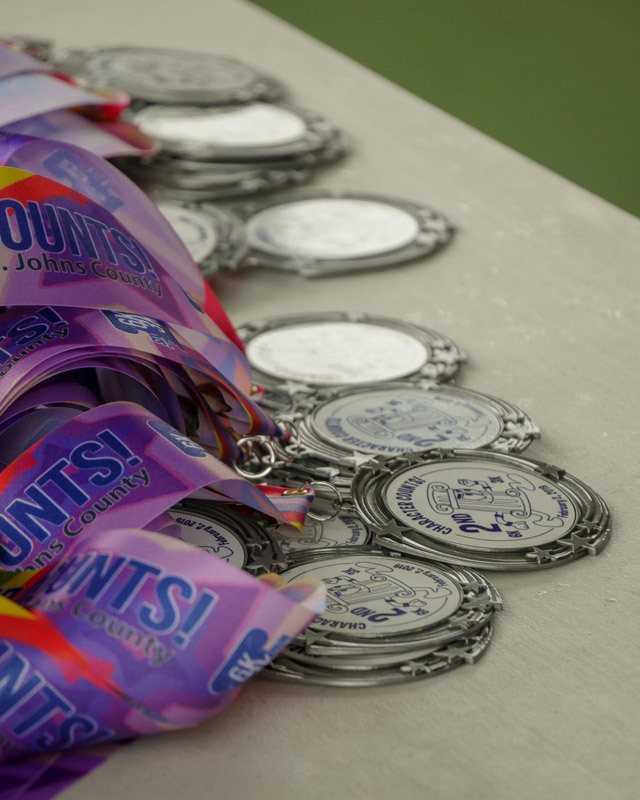 A cash donation will be awarded to the top three to five schools with the most registrants. Last year these schools were Ocean Palms Elementary, Alice B. Landrum Middle and Valley Ridge Academy. All race registrants will receive a tech t-shirt and lots of other goodies from area businesses and organizations. 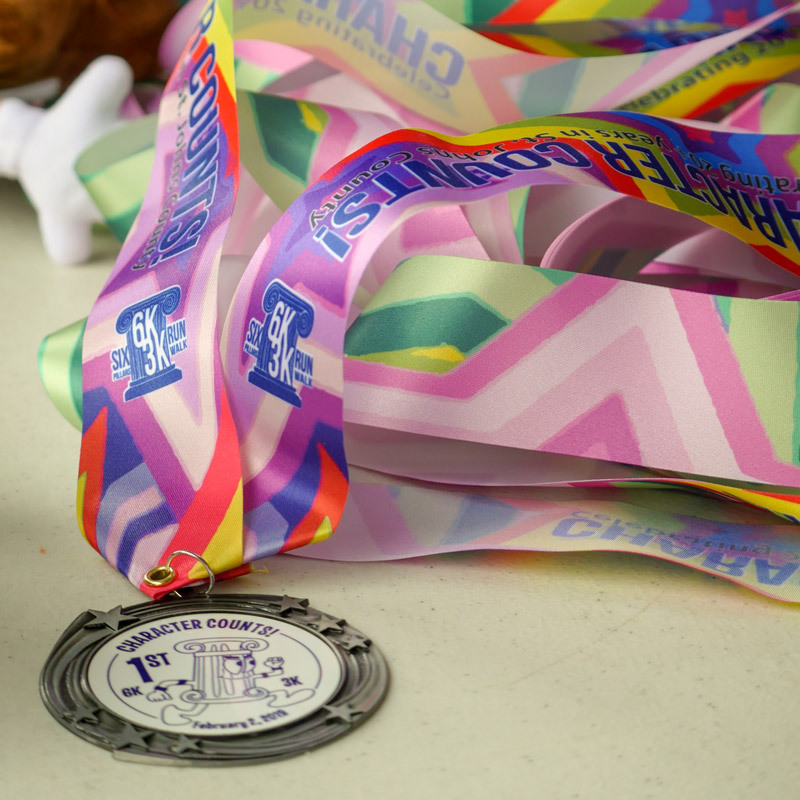 At the finish line, each race participant will receive a commemorative dog tag which is the fifth design in its series. This event is produced by the CHARACTER COUNTS! Steering Committee and is presented by Beaver Toyota with support from businesses and community groups. 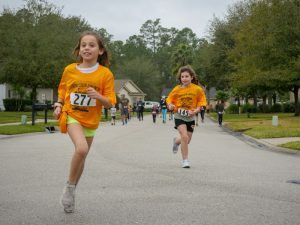 Action News Jax CBS47/FOX30 is the official media sponsor of this run/walk. The SJCSD, along with area businesses, youth organizations and civic groups, selected the national character education program of CHARACTER COUNTS! 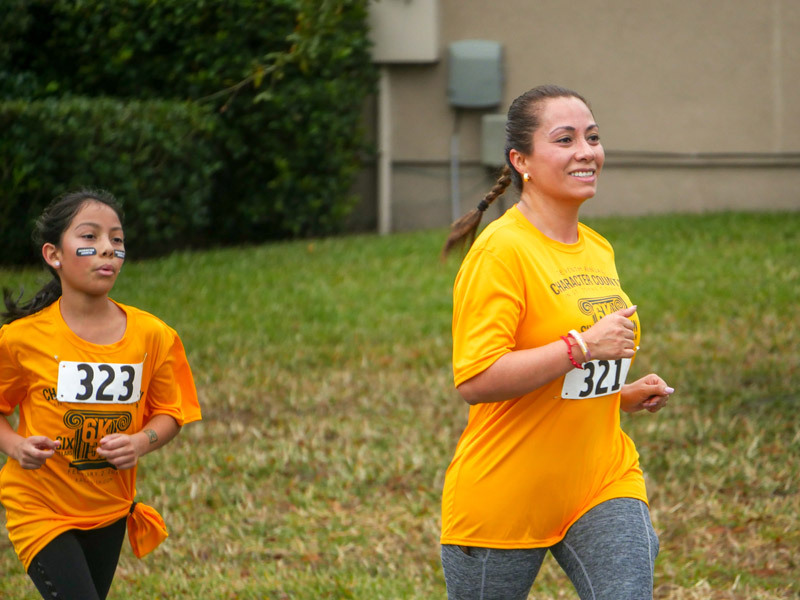 as a countywide initiative to instill positive character traits in young people throughout the county. Additionally, the SJCSD became the first school district in Florida to implement Pursuing Victory With Honor in all of its athletic programs. Character education is an important part of every School Improvement Plan and a major component of the Student Code of Conduct and the school district’s Strategic Plan. Did you know that over 40% of all high school students in St. Johns County are enrolled in one or more of our Programs of Choice? Programs of Choice provide excellent options for the students of St. Johns County. To help families learn more about the Programs of Choice, each high school displays their programs at the St. Johns County School District High School Programs of Choice Showcase. This year, the High School Showcase will be held Thursday, January 24, 2019 from 3:30 – 7:00 pm at the World Golf Village Convention Center. This event highlights Career Academies and specialized programs available to rising 9th and rising 10th grade students who live in St. Johns County. All high school programs to which current 8th or 9th graders can apply for next school year will have booths to share information. These programs include the Career Academies; Accelerated Programs – International Baccalaureate (IB), and Advanced International Certificate of Education (AICE); JROTC – Navy, Army and Air Force; and the St. Johns County Center for the Arts (SJCCA). Seventh graders and their parents are also welcome to join us as they gather information for their future planning. 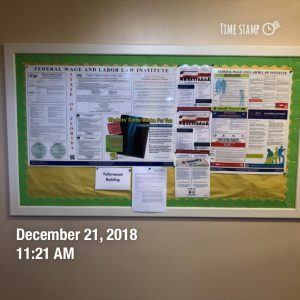 Students can apply to any of these programs no matter which school they are zoned to attend, although some program exceptions apply to this process. 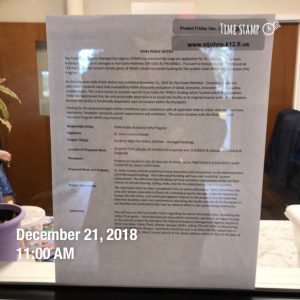 For example, students will need to apply and audition to be considered for the St. Johns County Center for the Arts at St. Augustine High School. Auditions will be held on Friday, February 15, 2019 at St. Augustine High School. For more information about the audition process, go to the St. Johns County Center for the Arts (SJCCA) website. For additional information on program exceptions and considerations, please visit the Career Academy of St. Johns website. Families must make transportation arrangements for students who attend schools other than their zoned school. Out-of-zone transportation is only provided to students attending St. Johns Technical High School. If you are unable attend this event, additional information is available on the Career Academy website. Each school also has a video overview of the programs offered at their school. Furthermore, each high school will have an Academy Night at their school to allow prospective students to tour the school, visit the classrooms, and hear more in-depth in formation about the programs from teachers, current students and business partners. Academy Nights will all be held at 6:00 pm on the dates and at the locations listed below. *St. Johns Technical High School Academy Night begins at 5:30 pm. Students currently in 8th or 9th grade who wish to enroll in one of the Programs of Choice for the first time MUST apply between January 24, 2019 at 8:00 am to February 19, 2019 at 5:00 pm. (Current high school students already in programs do not need to reapply.) 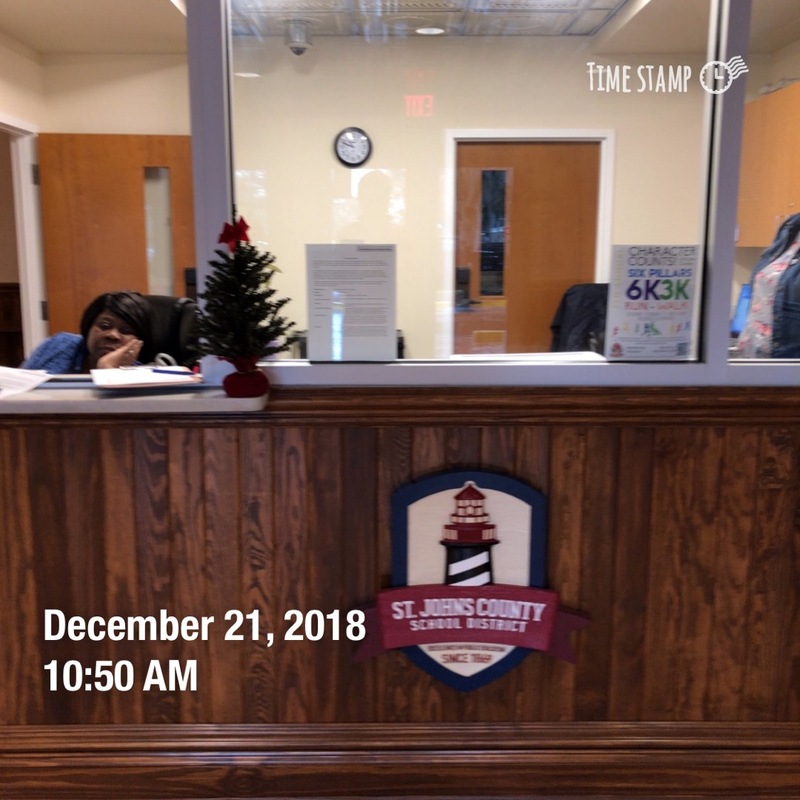 Current SJCSD students must apply online through the student’s Home Access Center (HAC) and directions can be found at on the Career Academies website. Home School, Private School or Virtual School students who are interested in enrolling in a Program of Choice at one of the SJCSD high schools next year need to pre-register at the CURRENT zoned school your child would have attended in the SJCSD this school year. After registering as a potential student, the currently zoned school will provide you with a paper application to complete and return. The due date to apply is still February 19 at 5:00 pm. Only students residing in St. Johns county are eligible to apply for any of these programs. Students currently not attending a SJCSD school need to pre-register. Please visit the school district’s website for the required documentation that you will need for preregistration. 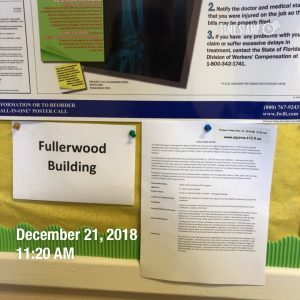 If accepted into one or more of these Programs of Choice, the family will need to complete the application process by bringing additional registration documents (such as transcripts, immunization records, etc.) before the start of the 2019 -2020 school year. Eligibility to apply to the Career Academies and JROTC Programs is open to all 8th or 9th graders who reside in St. Johns County who apply during the application dates. IB and AICE have academic eligibility requirements as they are accelerated academic programs. Teacher Recommendations Forms must be submitted to the IB or AICE Coordinators at the schools for which the student is applying by Feb. 19th. Each Program of Choice has a limited number of space for new students, so applying does not guarantee acceptance in to a program. An automated lottery system is used to select the students who will be accepted. All families will receive email notifications by the end of February as to whether their child has been accepted into one or more programs or not for the next school year. By law, students of active military parents receive additional consideration to Programs of Choice. Active military parents of applicants should go to their child’s current school office before February 8th and show their military card to the office staff to have their military expiration date updated in the student’s eSchool records. For questions about the SJCSD Programs of Choice that cannot be found on the website, please contact our office at 904-547-4870. View a list of options for student transfer and choice offered by the St. Johns County School District. Also review the dates for submission of hardship waivers and employee transfers for the 2019-2020 school year. Danny Erb, a mathematics teacher at Pedro Menendez High School, was named St. Johns County School District’s Teacher of the Year for the 2018-2019 school year at a banquet on January 17 presented by Investing in Kids! (INK!). The St. Johns County School District will have an open recruitment fair for elementary and secondary positions. Elementary positions include pre-K with ESE, kindergarten, grades 1 through 5, Exceptional Student Education (ESE), and resource teachers. Secondary positions include all subject areas, Exceptional Student Education (ESE) and different resource teachers). This fair is designed for candidates to be interviewed by numerous administrators in short interview rounds. Interviewers are interviewing for the district rather than individual schools. Selected candidates from this fair will be invited back to the March 30 Invitational Recruitment Fair to have additional interviews. Candidates will be matched up to interview with schools who anticipate vacancies in their certification areas. Mill Creek Academy’s Student Council has been busy giving back to their community. We kicked off our “give back campaigns” in November sponsoring our annual Food Drive to benefit the St. Francis House. Through the generosity of our students and families, we donated a truckload of non-perishable food items. Student Council students started a tradition a few years ago by delivering the food and touring the facilities. In doing so, students are able to see the greater impact of their giving, where the food goes and how the food is disturbed to the men, women and families in need throughout our community. 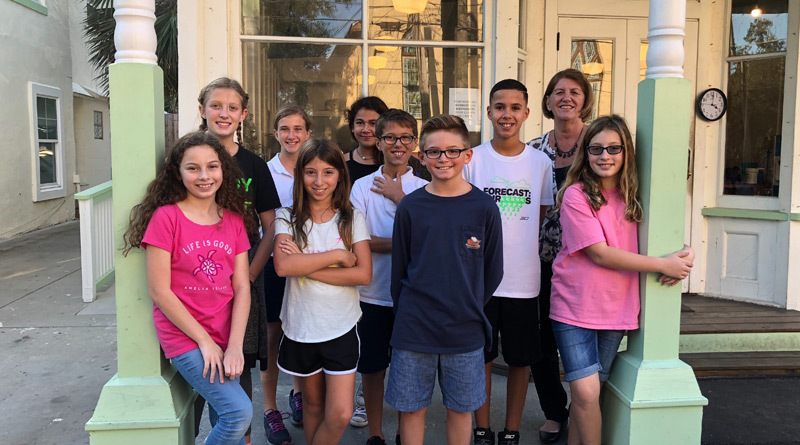 Students were able to ask questions regarding the work of the St. Francis House and the population they serve and inquired about how to become an active volunteer with the St. Francis House. 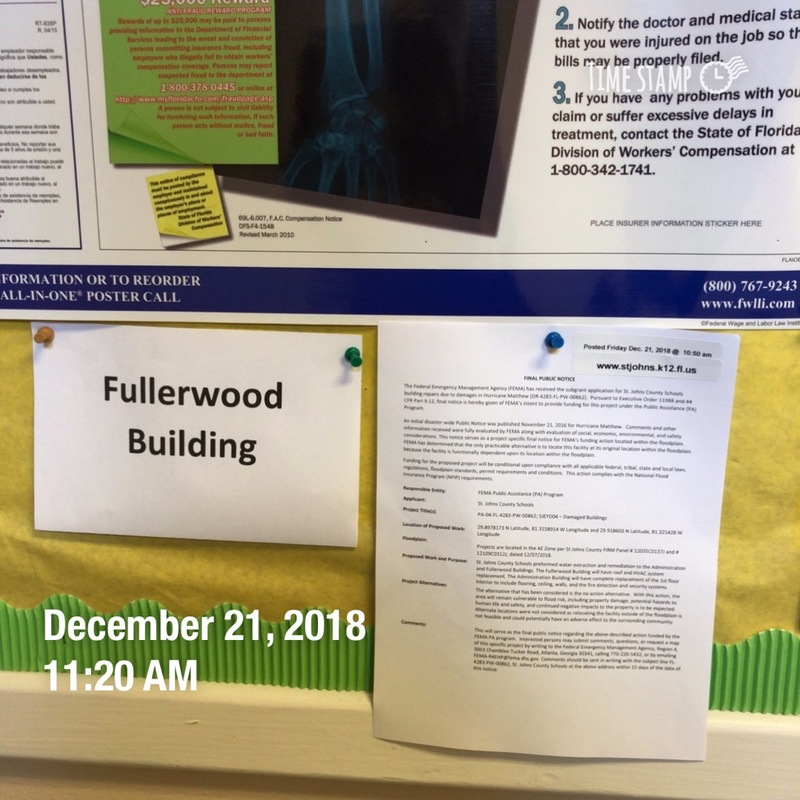 December was a busy month! 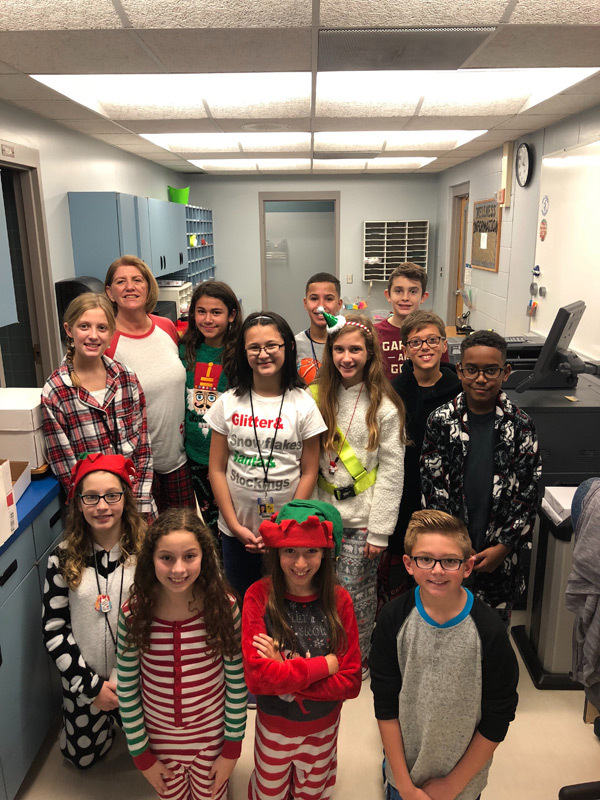 Student Council sponsored their Candy Cane Grams sales, giving students throughout the building an opportunity to purchase and send a candy gram to their friends and teachers during the holiday season. Student Council members met several days after school to put the candy grams together. It was a very successful project. All funds collected are donated to The Empty Stocking Fund, sponsored by The St. Augustine Record to help families in our community that are in need during the holiday season. This has been a Mill Creek tradition for several years and each year the giving of our students continues to grow! This year we donated $1,030.25. That was a lot candy canes! The next project in our “give back campaign” will be Valentine Candy grams with the proceeds going to help in our local food pantries that provide food for families on a weekly basis! Student Council also participates in Pennies for Patients to benefit The Leukemia and Lymphoma Society as well as Bag It Up! For Goodwill. View the Annual Report provided by the Half-Cent Sales Surtax Citizen Advisory Committee (CAC) during the January 8th School Board Meeting. 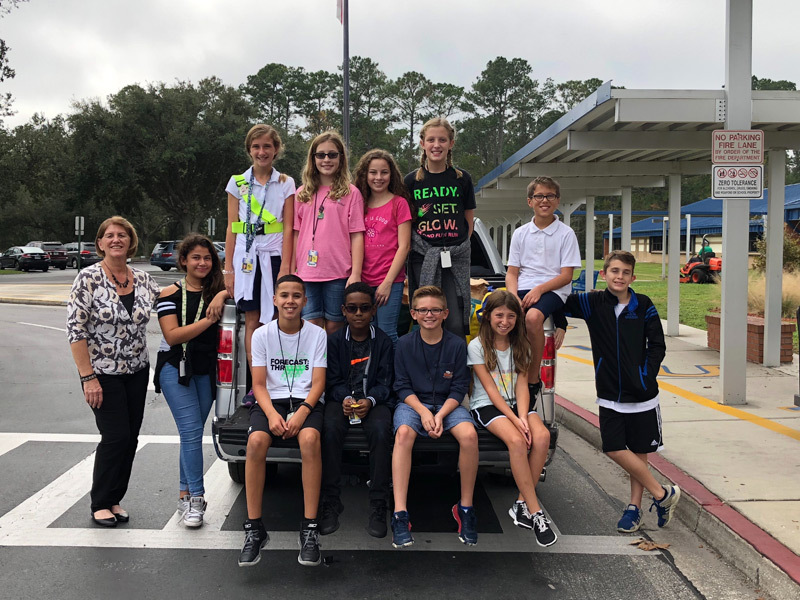 Given current demands and the significant growth in St Johns County, the Transportation Department is continuously hiring school bus operators. Full time positions with benefits available now. 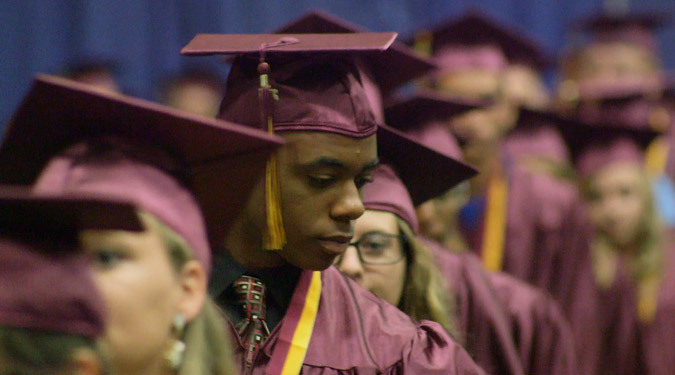 According to a Florida Department of Education report, our state’s graduation rate has reached a 15-year high. The St. Johns County School District rate is 93.3%. We are proud of our students, teachers and administrators for achieving this outstanding educational milestone. Congratulations!